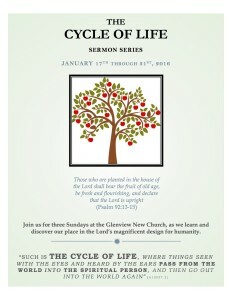 Please join me this Sunday, January 17th, for part one of three consecutive Sundays: “The Cycle of Life” (see poster attached). The teachings of the New Church emphasize the full range of development during a person’s lifetime, from childhood until old age. Each stage becomes the building block for the next, with the Lord leading us to different levels of human experience. 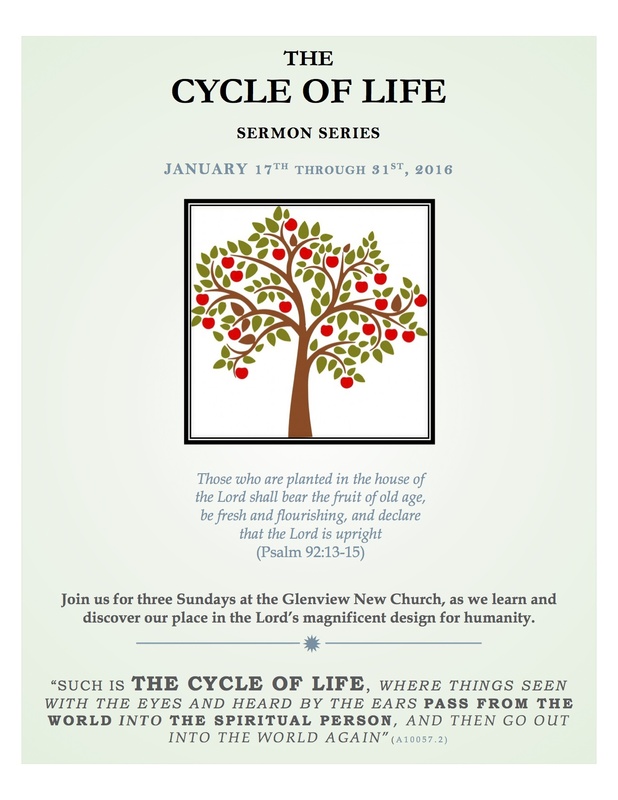 The cycle of life is a design of hope and promise for people of all ages, and all faith traditions. This Sunday, we will start at the end, with a discussion about The Fruit of Old Age (Ps. 92:14). Week two (Jan 24) will discuss The Nature of Maturity; (from Luke 6:37). Our final service (Jan. 31) will be Unless You Become Like Children, (Matt. 18:3) the essential role childhood in the development of the human mind.